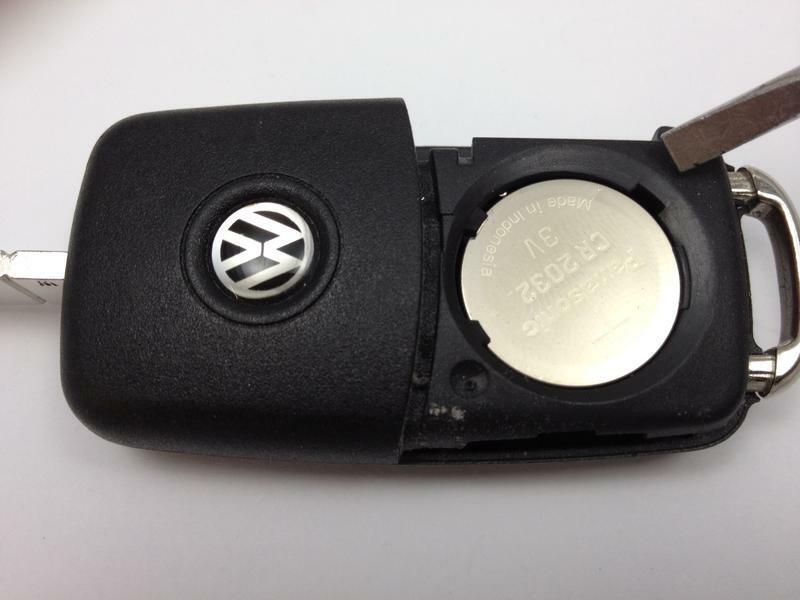 A "how to" guide to changing a Volkswagen key remote battery in the newer style model. 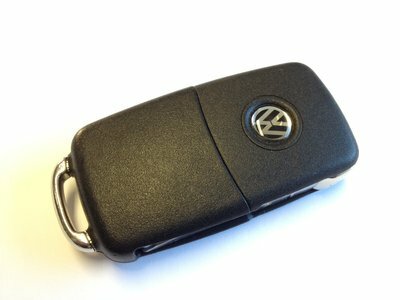 If your key has a silver and black VW logo on the back, like this picture, it's the newer key. 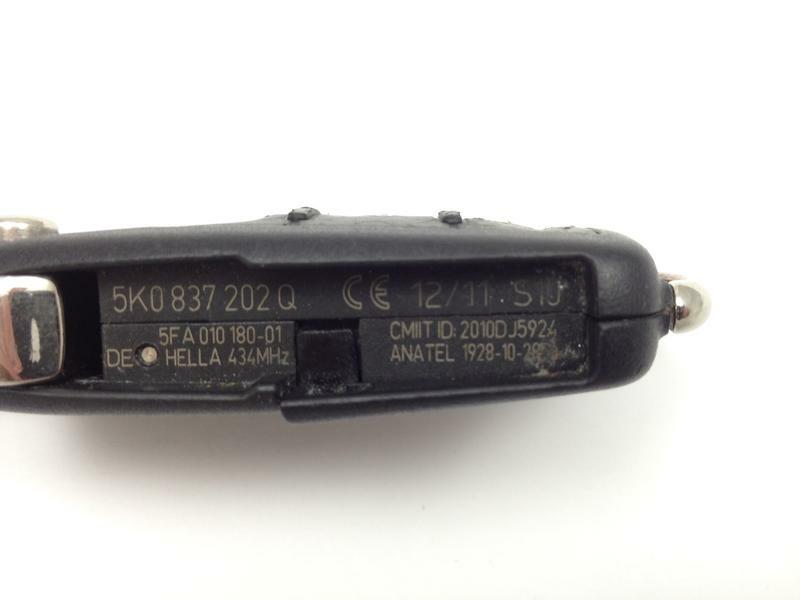 Older style remotes have a blue VW logo. The video below gives the instructions for both types. 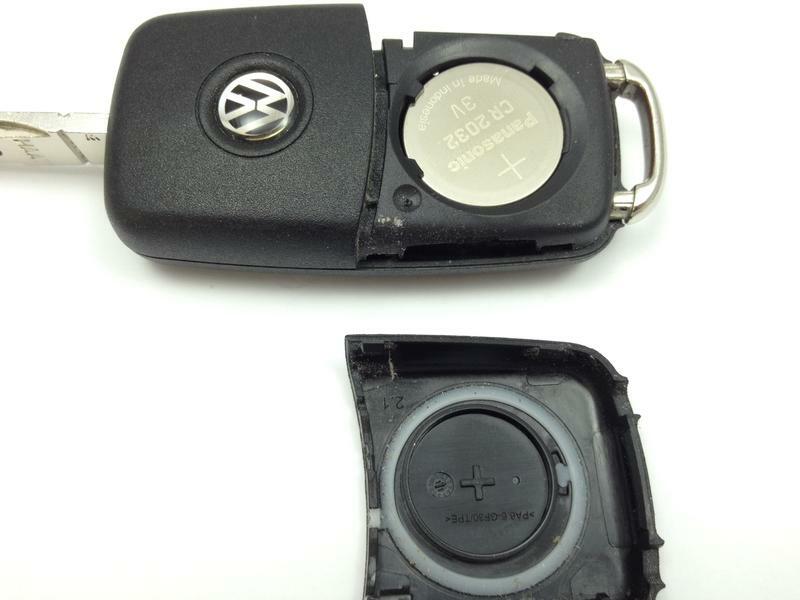 Watch our "How to" change your VW remote key fob battery video or use the step by step guide below. Having established you have the newer style of remote, flip the key blade out. Turn the key on it's side so that you are looking at the area that the blade sits into. With the key blade facing left, push down on the bottom of the key case by the square plastic tag. The clip will come away. Carefully pull away the top of the case to reveal the battery. 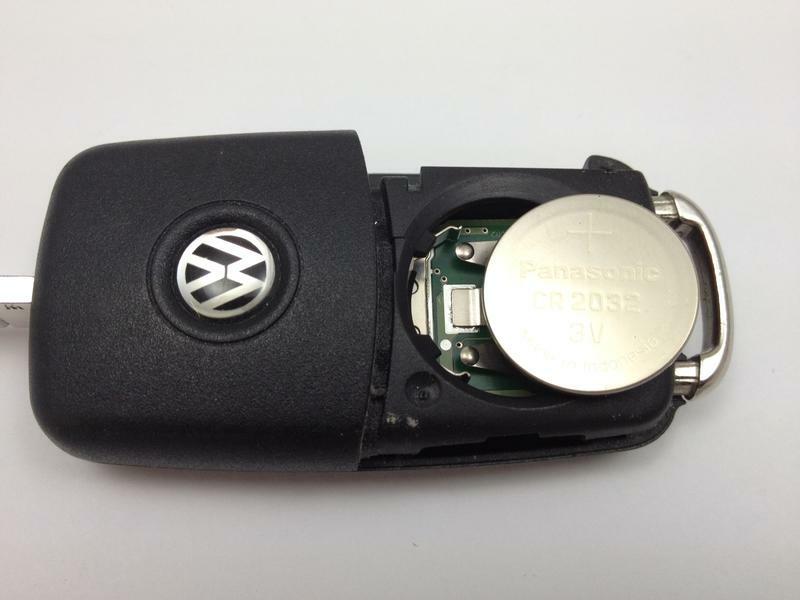 Lift the battery up with a small flat blade screwdriver. There is a cut out by the edge for this purpose. 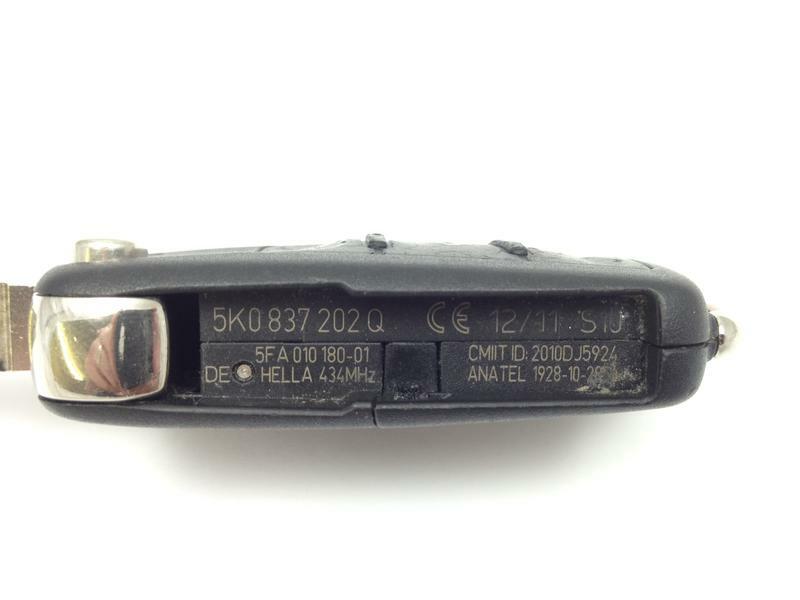 Replace with a CR2032 3v battery (available from this site). Refit with the positive (+) facing up and insert into the front edge by the springs first. Replace the top trim cap and test. A small red light should illuminate next to the blade release button. The “How to” information on this site is for guidance only. Do not attempt a repair if you are not appropriately trained or do not have the correct tools or equipment to conduct a repair safely. Your key may differ from that shown.